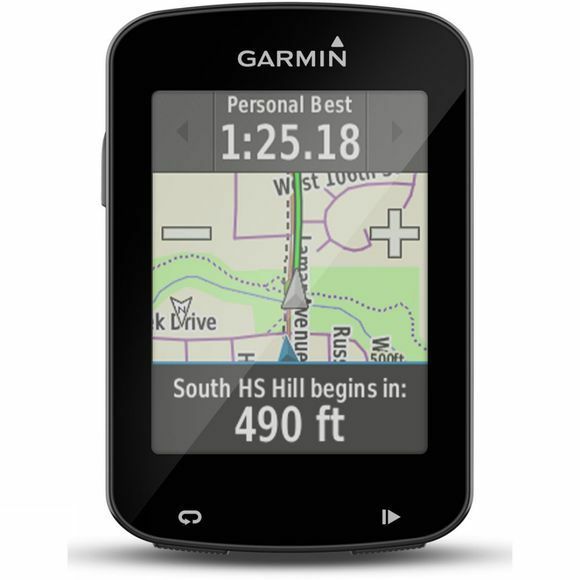 Garmin's new Edge 820 is the ultimate GPS bike computer to capture your performance and racing data. Turn those commutes and group rides into a race by competing on Garmin Connect segments and seeing real-time results from your Edge device. It offers advanced performance monitoring such as VO2 max and advanced cycling dynamics, in-ride challenges through Strava live segments and connected features. Instant uploads to Garmin Connect mobile, helps you to analyse and share your rides and its capacitive 2.3" touch display with turn-by-turn GPS navigation, works well in the wet and with gloves. Thanks to the GroupTrack feature, you can see where your other riders are in your group, in ocomparison to your location. Great if you've realised your friends are not behind you anymore as you've climbed the wrong ascent. Comprehensive cycling awareness features include built-in incident detection and compatibility with Variaâ„¢ rearview radar. 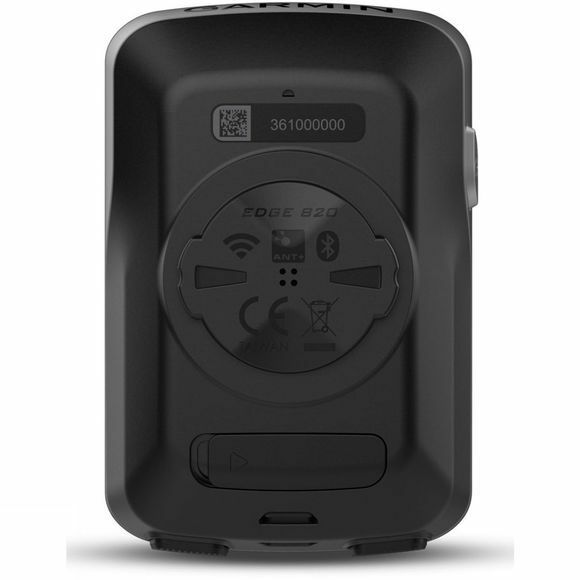 Its built in incident detection system will alert a pre-set contact with your location, should you have a mishap on your bike, and can be disabled should you accidentially set off the alert.